He brought a new song to her heart. Julie Dodd had become a nurse to be closer to her childhood sweetheart, Dr. David Stace. But what started as a matter of practicality had become an intense dedication. Now Julie was faced with the biggest decision of her life. Marriage to David would mean a new life in Chicago, with a handsome apartment, a wealthy circle of friends, and plenty of leisure time. Then there was Chad and the promise of love and fame he offered Julie, sharing his roaming, exciting life as a folksinger. 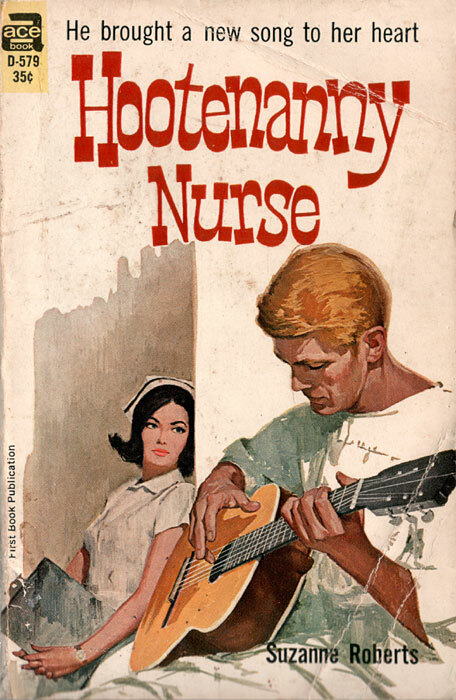 Yet in neither man’s dream was there room for Julie’s nursing career. But in Julie’s heart was there room for anything else? Best. Nurse. Book. Title. Ever.